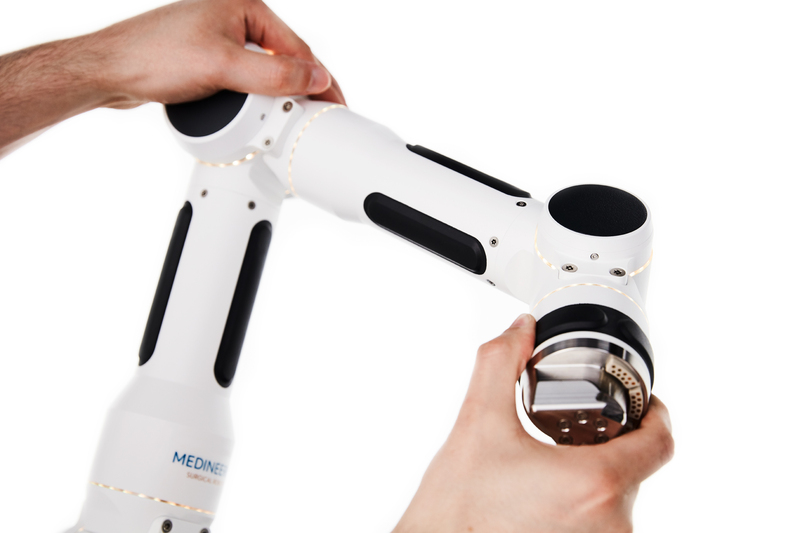 The Munich startup Medineering offers robotic assistance for ENT surgery to assist surgeons with physically demanding tasks. This allows surgeons to concentrate more on the tasks that require their individual expertise. 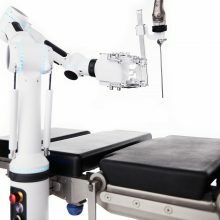 The company calls it robotic assistance, and it consists of a smart positioning arm that is easily attached to an operating table. 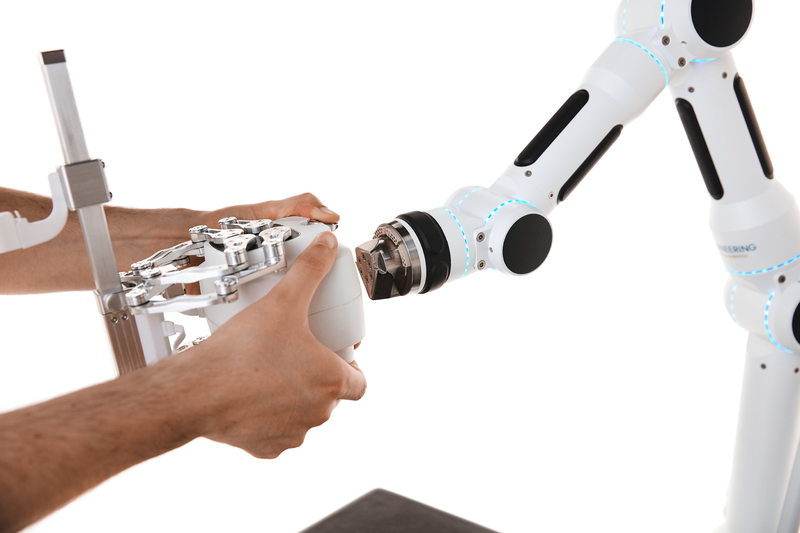 A small robot that is optimized for a specific task is then mounted on the arm. That task might be to guide an endoscope, considering that endoscopic nasal surgery has now become the standard. For surgeons, however, that means they are only able to operate with one hand since the other hand is needed to hold the endoscope. Being able to operate with two hands can help save time and provide better visibility since blood can be constantly suctioned. At the same time, the young company noticed that the topic was growing in importance in the US market — however, German companies were more reserved, despite the German market being the leader in the field of medical technology. “Barbara, Harald and Carsten in particular from the BayStartup team were of great help during the founding stage. They established contact with our first investors back then. The results have ultimately demonstrated that a startup is the perfect framework for establishing this kind of technology. Surgeons also appreciate the direct communication and flexibility provided by Medineering. Physicians can count on the founding team listening to their suggestions, and the startup tries to quickly implement those requests. Touchpads can be used to correctly place the positioning arm. 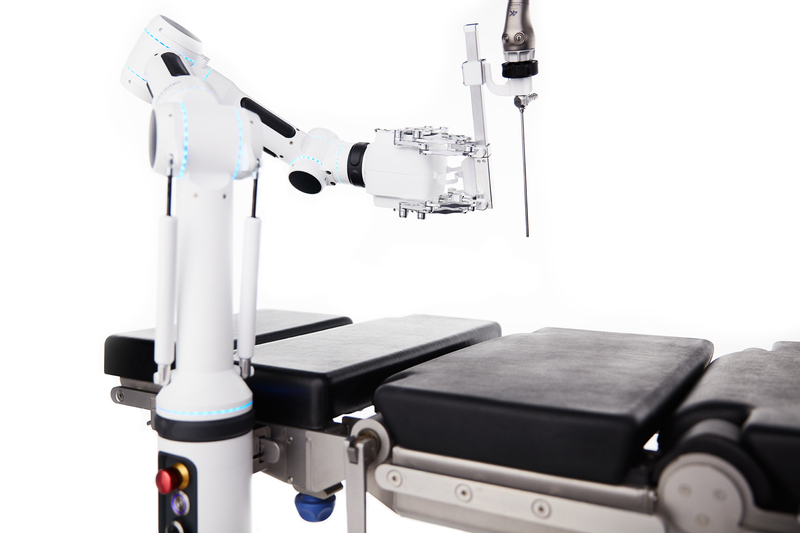 Their solution includes the positioning arm with a small robot mounted on it. It is easy to attach the Medineering system to an operating table. Another significant milestone was the following round of Series A financing. The young med-tech company was able to get the Munich medical technology company Brainlab on board in spring 2016, both as an investor and cooperative partner. That also makes it possible to offer Medineering’s approach to neurosurgery patients. While the Munich-based startup certainly does not have a lack of achievements, the founders have also faced their share of challenges. After all, medical devices also have to be approved in Germany, and approval processes can be extremely arduous. At the same time, regulatory requirements are only getting more complex, which slows down innovation. On top of that, the processes are different from country to country. Nonetheless, approval is within hand’s reach. 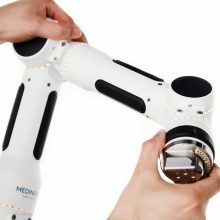 Medineering feels optimistic about receiving the CE approval for their robotic system for the European market in the near future. The next step will be to tap into the American market, despite approval by the FDA being a major current challenge. Medineering considers good employees a key factor for the successful development of a company. Taking full advantage of potential is essential, because the founders still have big plans. In five years, they want to offer their robotic assistance with a broad range of customized robots. In ten years’ time, they aim to be defending their position as the market leader in the field of medical robotics. Another goal: excellent innovation management, which makes it possible to process customer requests even more efficiently and to quickly build prototypes.